China’s beef imports are expected to increase by eight percent in 2018, as rising demand continues to outpace domestic production growth, according to the United States Department of Agriculture’s latest forecast for the market. China’s domestic beef production is expected to grow by one percent in 2018 to 7.4 million metric tonnes, the USDA’s April 2018 Chinese livestock outlook reports. However, Chinese beef consumption is forecast to increase by three percent to 8.4 MMT. As a result China is expected to increase imports by 8pc to 1.05 MMT in 2018 to bridge the gap between local production and demand. Contributing to higher domestic beef production in China is a combination of low milk prices and high beef prices. The USDA says low milk prices have prompted dairy farmers to slaughter their less productive dairy cattle for beef processing at a faster rate than usual. The high beef prices are allowing farming operations to generate immediate income and to replace less productive dairy cows with more productive cows. The report forecasts China’s calf crop in 2018 will increase by 0.7 percent to 51 million head. Earlier investments in the development of larger scale farms are now starting to translate into increased production capacity. At the same time small-sale farmers in China are either continuing to retreat from the market or take a “wait-and-see approach”. Despite the forecast increase, overall production growth in China is being constrained by increasingly strict environmental regulations. One example is the nationwide Environmental Protection Tax introduced by China’s central government on January 1, 2018. The program levies a tax on farms with more than 50 head of cattle, 500 head of swine, or 5000 head of chicken/duck. The tax rate is designated by each individual province. Farms which invest in qualifying pollution control and rehabilitation measures are either exempted from the tax, or pay a lower tax rate. The USDA says this program will further increase production costs for many Chinese farmers, driving many small and medium operations to either consolidate or exit the market. Also adding to the cost of beef production in China are rising corn prices. The area planted to corn in China has been smaller this year, in keeping with a central government effort to reduce the massive reserves generated in the past, while demand is also rising for corn for the production of ethanol, with both factors putting upwards pressure on corn prices. At the same time beef consumption continues to increase in China and outpace domestic production growth. China’s per capita beef consumption was about 5.8 kg/person in 2017 and is estimated to reach 6.0 kg/person in 2018, still well below the world average per capita consumption of 8.6 kg/person. High-quality and branded beef products are particularly popular in China, and online sales are also now starting to dominate. “Prosperous E-commerce platforms further facilitate the demand of high-end beef products from tech-savvy middle-class consumers. Beef imports are forecast to increase by 8pc to 1.05 MMT in 2018. China now allows access from 14 beef exporting countries. “Products from the United States, Canada, and Australia are deemed “value products” in China and command a premium price,” the report said. Brazil was the leading exporter in 2017, but is expected to decline in volumes exported in 2018 due to the continued investigations of its meat industry and regulatory system. US origin exports are slowly returning to the market following the lifting of a ban on US beef exports in July 2017. 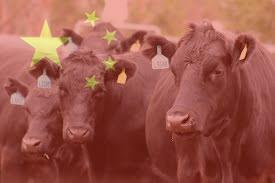 In the second half of last year China imported 3000 metric tonnes of US beef, valued at $31 million. Nearly 75pc of that volume was in the form of frozen boneless beef. The report also indicated that in 2018, the number of pigs on large-scale farms in China surpassed that of small-scale farms for the first time). This trend is leading to a more productive swine herd, increased domestic production and lower pork prices in China. I have 12 kgs of cow gallstone for sale and need a serious buyer.